Today is International Human Rights Day, and pro-life advocates across the globe are marking the occasion in various ways. Two LifeNews articles on human rights are worth your attention. [I]t is time for this policy to end, not to be replaced by a ‘two-child policy’ as some of your advisors may be suggesting, but to be eradicated from the face of the earth because it has caused more violence toward women and girls than any other official policy on earth, and any other official policy in the history of the world by coercively preventing more than 400 million births through forced abortions, sterilizations, confiscatory fines, and infanticide – all in violation of international norms. 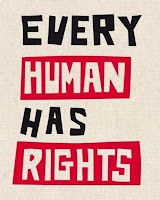 Human Rights Day commemorates the day on which the UN adopted the Universal Declaration of Human Rights, but for us, it must be a reminder that there is a war on human rights, a war in which some seek to advance false human rights (such as abortion) at the expense of true human rights (the right to life). On Human Rights Day, we should pause to note the irony that treaties purporting to help women, children, and people with disabilities would be used to promote abortion.